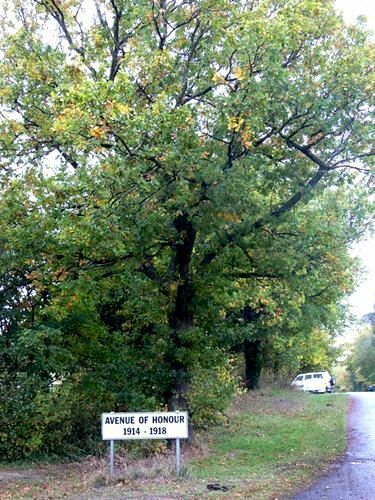 The Avenue of Honour commemorates those from the district who served in World War One. A monument containing the names of those who served in World War One was unveiled in 2009 on the ninetieth anniversary of the planting of the avenue. The official planting ceremony of the Linton Avenue of Honor was held on Saturday afternoon, having been postponed from the previous Saturday. Cr W. T. Rowe, president of the Shire of Grenville, and Crs Stretch, Woods, Wishart, and Kennedy were present, and there was a good attendance of the public. The proceedings were opened with the National Anthem, after which President Rowe said he had been asked to open the avenue, and he had great pleasure in acceding to the request. 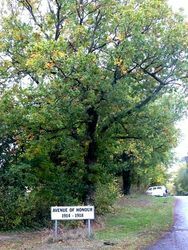 He had been present at the meeting which had decided on planting the avenue, and he was delighted to find that the enthusiasm displayed at that meeting had been fully maintained, and that the work had been carried out so efficiently. 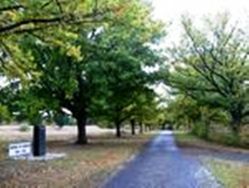 It was safe to say that the fact of such an avenue being built by voluntary labor was a guarantee that the people of Linton were prepared to do their duty by the men who had done theirs. It indicated clearly that they were willing to put their hands in their pockets when taxation came—as come it would. He was sure the willing hearts and hands responsible for this avenue were those of people who were anxious to provide for the men who had done their duty, and to see that they were well treated on their return. (Hear, hear.) He understood that it had been arranged for the mothers of young soldiers who had fallen to have the honor of planting the trees. Unfortunately Mrs Wise was unable to be present but Mr Wise would take her place. Their sons, in the now familiar phrase, had made the supreme Sacrifice ; but he thought that it would be better to look upon these heroic lads as having joyfully given themselves in a great cause, and to see in their death occasion for pride rather than sorrow. He would call upon Mrs W. D. Nicholls and Mr J. M. Wise to perform the ceremony of planting the trees. Mrs Nicholls and Mr Wise then planted a tree each, at the entrance to the railway station. Grenville Standard (Vic), 13 July 1918. Memorial To Those Local Men Who Fought In World War I.